Beautiful Chilean style house with excellent lighting and North West orientation. 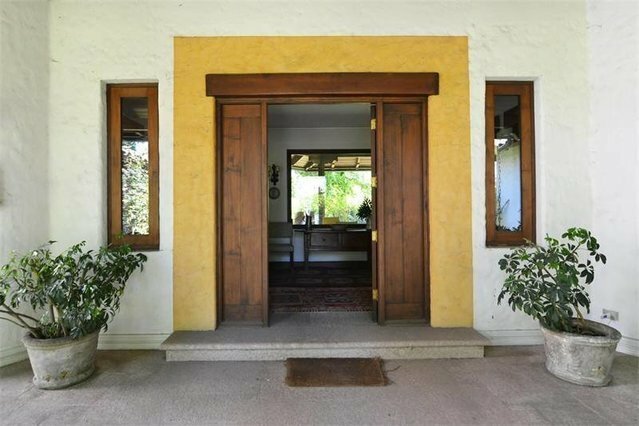 Located in a quiet street in Santa Maria de Manquehue, one of the finest neighborhoods in Santiago, Vitacura. Ample access hall with large windows aimed at the garden and swimming pool. To the right you will find 2 suites, 2 independant bedrooms and a family room. To the left of the hall and ample living room with two environments and a large dining room, big kitchen, laundry room and service room. This house is equipped with insulated windows with the exception of the living room and dining room areas. Its equipped with underfloor heating and separated by floor for future expansions. Roofed parking for two cars.